The Compulsive Reader: Join the Party! 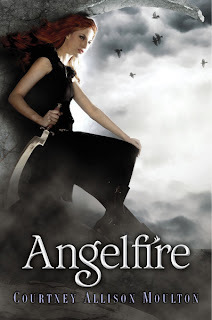 Just a quick reminder that Courtney Allison Moulton's launch party for her debut book, Angelfire , is TODAY! If you live in the Lansing, MI area, come out to Schuler's Book and Music and join the fun! There's going to be a TON of us bloggers, authors, and readers there to support her! So, don't be lame, come listen to Courtney speak, get your book signed, and grab a root beer float! The party starts at 2! Bit far for me, but sounds like a lot of fun! Too far for me too, but that's awesome you can go and are supporting her.